In development footage showcases base customization. Harebrained Schemes’ BattleTech made an exciting appearance at the PC Gaming Show at E3 2017. Creator Jordan Weisman was present to unveil a trailer for base customization in the single-player campaign. Check it out below. There are three main modes to look forward to in BattleTech, which is currently in closed beta for backers – multiplayer skirmish, single-player skirmish and the Mercenary campaign for single-player. Mercenary will see you establish the Argo, a space station, and customize as you travel across numerous star systems to fight against dictators. Civil war is the flavour of the season and there are numerous houses to battle against. Much like the classic tabletop game, BattleTech will be about strategy, managing your crew, positioning and taking advantage of line of sight. Heat levels must be managed in order to keep units running, further adding to the tension. 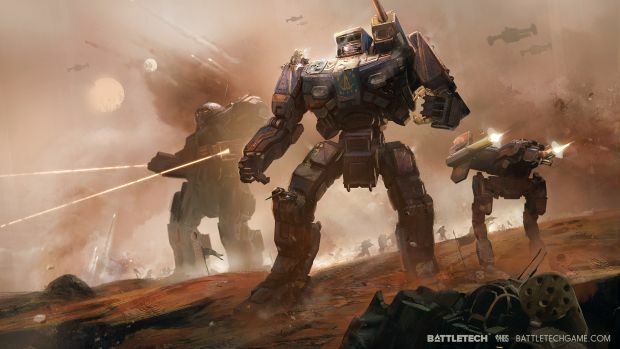 What are your thoughts on the single-player base customization for BattleTech? Let us know in the comments.